When we think of summer, we think of the salty sea. Here's a fun art project to do with salt! Children's author and illustrator, Laura Eyring, taught us this technique when she used it in her book, Freeing the Birds/Libérer les Oiseaux. 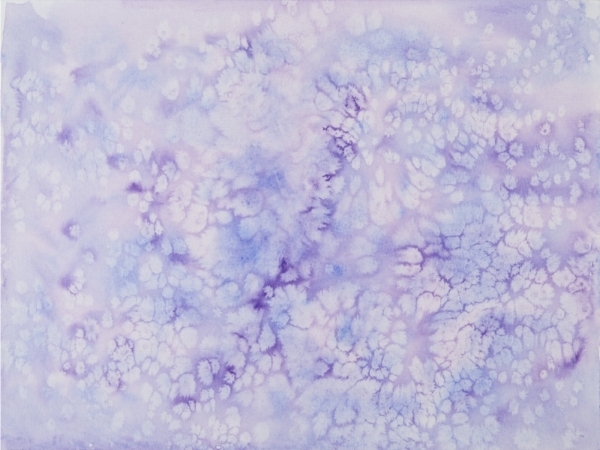 Step 1: Paint your piece of white paper with watercolors (in the picture below Laura has used blue and purple). Step 2: Sprinkle a few pinches of salt over your painting and watch what happens! Be patient... it may take a few minutes for the magic to appear. Do you notice a difference in the art on different types of paper and salt?